Does your garden have patches that look ugly and you wish you could cover them up? If yes, choose to plant ground cover plants that are considered the biggest blessing for such gardens. These plants are the most popular when it comes to garden landscaping as these are low in maintenance and last an entire season. Ground cover plants grow fast and have the ability to form into beautiful blankets of blooms at spots inaccessible by other plant varieties. These produce blossoms in various colors like yellow, white and purple and are mostly used on edges or borders of gardens. Also, these are helpful in eliminating the growth of weeds. Below, we have presented an interesting collection of 25 of these plants. Take your pick! Phlox villosissima or Prairie Phlox, a bloomer in later part of spring is considered one of the best ground cover perennials to brighten up the empty patches of your garden. These plants grow well in poor soil and produce a thick blanket of bright pink blossoms and reach up-to 6 feet in height. These low growing perennials are a perfect choice for such regions that experience humid summer. Purple ground covering plants have a beauty of their own, and the Bigroot Geranium is one of those. This plant is an excellent choice for such people that wish to grow sturdy and low maintenance plants. Bigroot Geranium grows up-to 1.5 feet in height and is a lover of the sun. It produces attractive blossoms in a wide range of colors like bright pink, light pink and red. The best spot for growing this plant is under a tree. Its a drought resistant perennial. One of the best ground cover plants, Helianthemum or Rock Rose is a variety belonging to the Cistaceae family and reaches up-to 1 feet in height. This plant needs full sun to grow optimally and produces blossoms in pink, yellow, white and orange tones. In warmer regions, this plant lasts long, while in colder areas, it dies off as cold increases. It is a subshrub that blossoms nicely to cover up patchy portions of your garden. Ruschia punctulata or Globe Ice Plant is cold tolerant and originates from Western Cape area of South Africa. With pink blossoms and dense evergreen foliage and stems, this plant is a must to grow if you’re looking for an ornately landscaped garden. Its a specie that can only be found in this cold region and is quite a tough plant. What are the attributes that characterize Blue Fescue? Its blue gray spiky grass that catches your attention. In addition, it mesmerizes you with its slender look. Most gardeners grow this plant as a ground cover on patchy areas of gardens. It needs full sun and grows in small mounds. Its an absolutely no fuss plant that’s easy to maintain. Grow this plant on edges or in pots. Woolly thyme, a perennial herb is one of the most popular fast growing ground cover plants and is loved for its ornamental appearance. Its a fragrant herb that is also resistant to drought and is easy to maintain. With a soft fluffy texture, this plant is a popular medicinal herb and is great for growing between cracks and crevices of pavers. Growing up-to 3 inches, it can spread fast to produce a colorful carpet of tiny pink blooms. 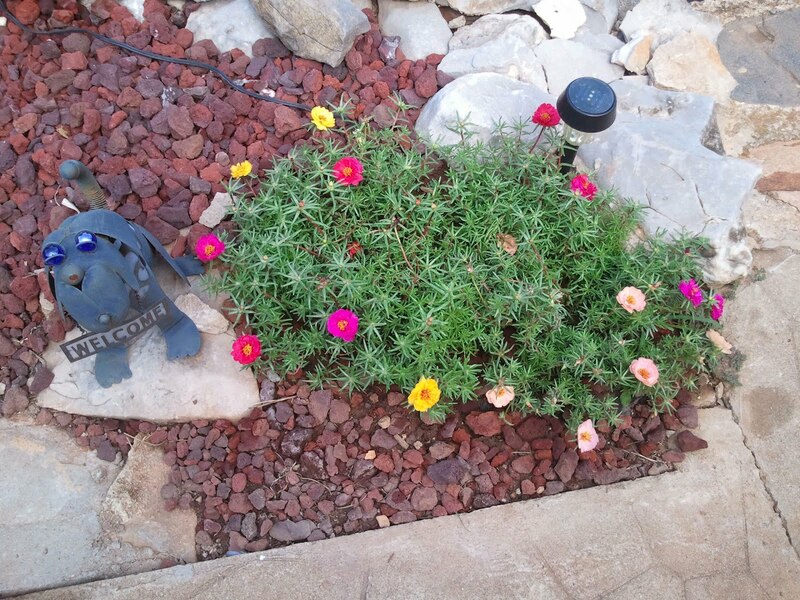 Portulaca or Moss Rose bears attractive yellow, pink, white, red and orange blooms as well as foliage that looks spiky. This plant grows fast to spread densely all over and is one of the most popular choices for covering up patches as well as decorating edges and borders in gardens. Its a tough perennial as well as an annual plant that can thrive well in dry soil. Counted among the best ground cover plants, Sweet Woodruff is a fragrant plant you’ll love to grow in your garden. 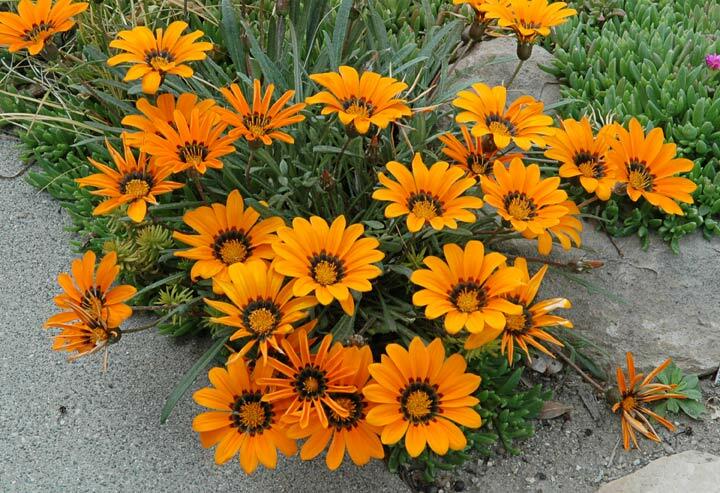 It grows nicely in well drained soil and needs full sun and part shade. 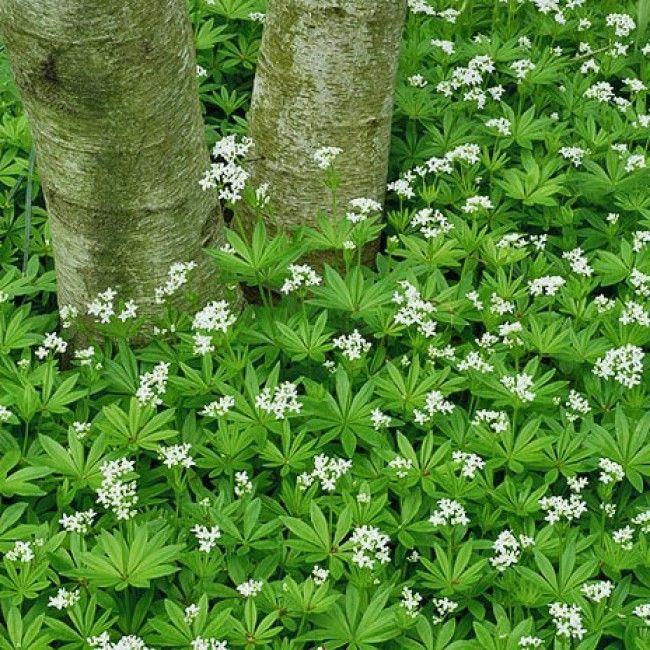 Reaching up-to 10 inches in height, Sweet Woodruff produces blooms from the middle of spring. 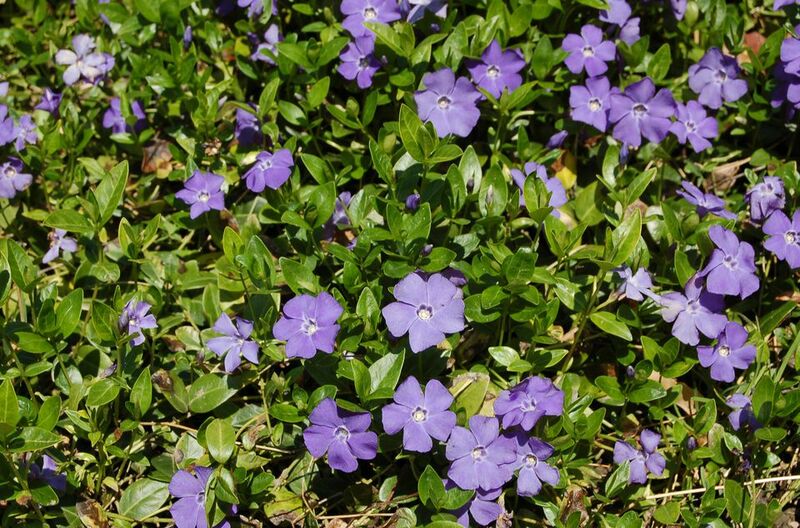 Ground cover plants like Vinca minor can survive well both in warm as well as cold regions falling under USDA Zones 4-10a. It grows and propagates vigorously and can tolerate full sun in winters. However, in summer, you need to keep this plant in part shade to allow it to grow optimally. It bears white and purple blooms that look very ornamental. The plant is resistant to poor soil and drought as well. 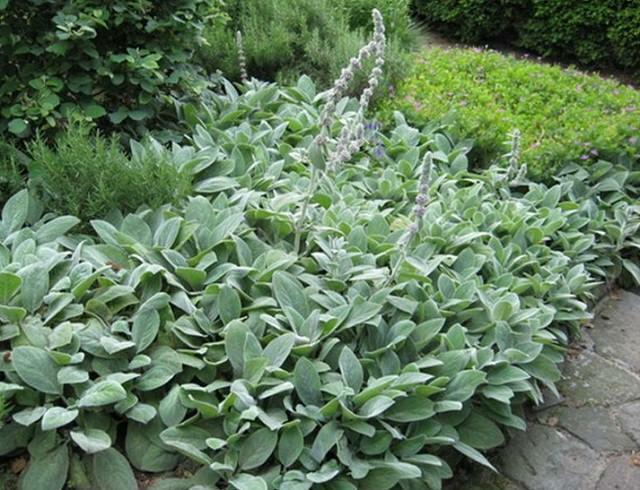 One of the most ornamental purple ground covering plants in this list here is Lamb’s Ear, a flowering plant that boasts of silver grayish to green foliage and attractive purplish blooms. 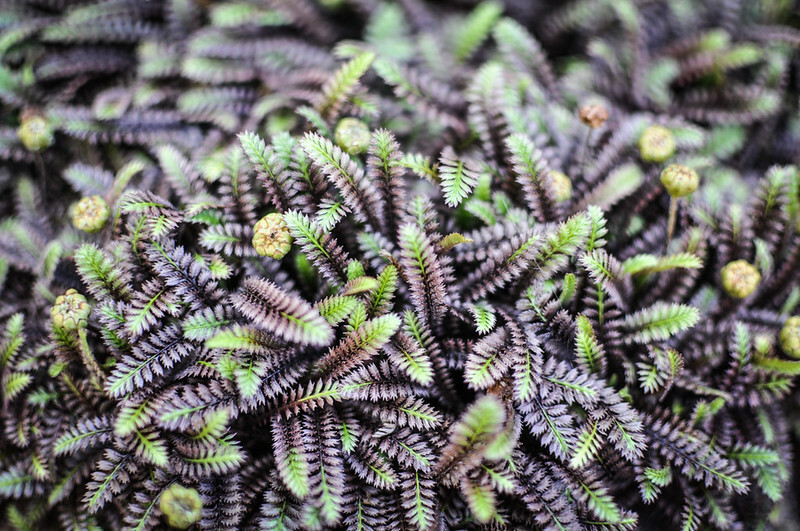 Most eye catching feature of this plant is its velvet-like rosettes formed in its foliage. This plant produces blooms in later part of spring and is perfect for edging your garden pathways. It needs both sun and shade in USDA Zones 4-9. Known scientifically as Stachys coccinea, Scarlett Hedge Nettle produces tubular red blooms that attract hummingbirds. Its a wildflower that is resistant to cold and grows nicely in part shade. It blossoms prolifically in summer and offers a red carpet of blooms to cover your garden beautifully. Its also known as Texas Betony and Hummingbird Betony. 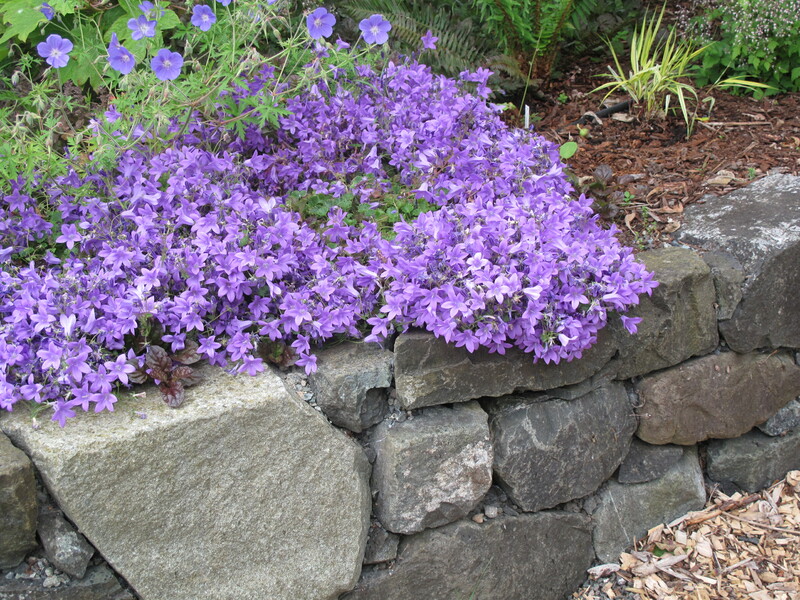 You can grow this as a companion plant with Campanula. 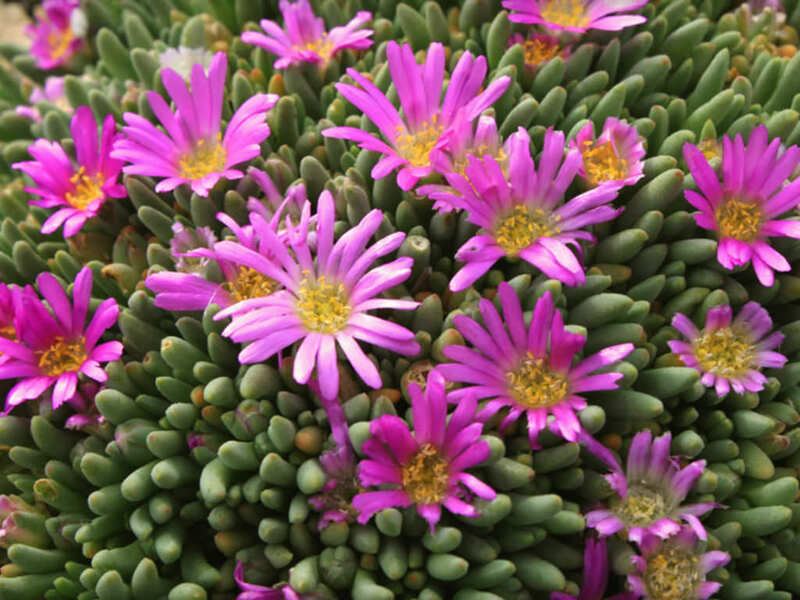 Belonging to the family of South African Mesembs, the Tufted Ice Plant is a miniature plant that is used widely as a ground cover for rock gardens. 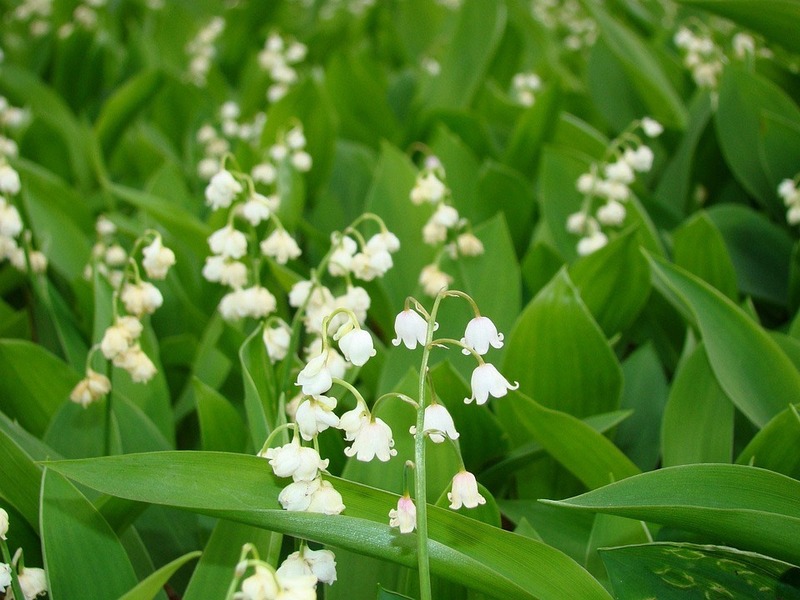 This plant offers a thick carpet of stunning flowers that bloom well in the middle of spring. In full bloom, the plant’s foliage seems to vanish under the magenta floral blanket. 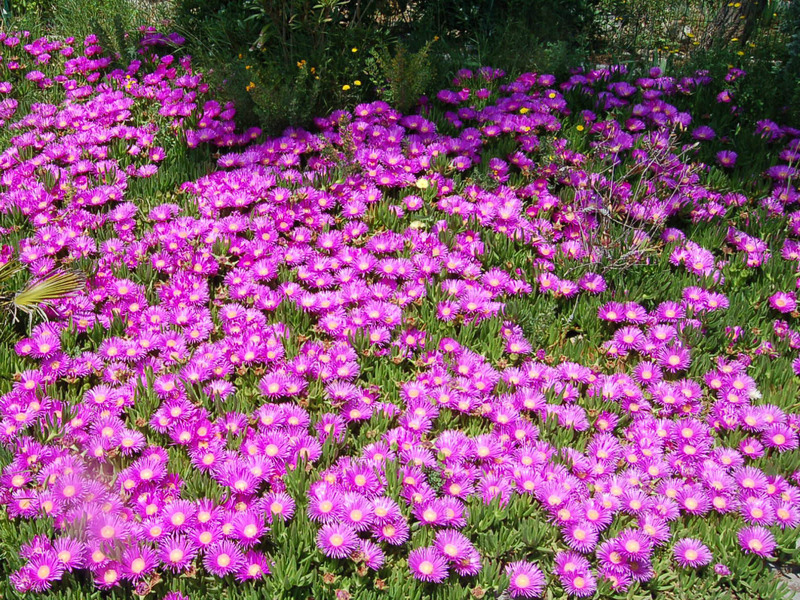 Ground cover plants such as the Blooming Ice Plant produces aromatic flowers in yellow and looks unique with silver succulent foliage. This plant blooms flowers in the night during springtime. The blossoms are yellow in tone and resemble bottle-brush like texture. It is mostly grown to beautify rock gardens. It originates in a small town of South Africa called Sutherland and is very tolerant to cold. Bearing thick brown succulent leaves mimicking rocks, the Brown Leaf Ice Plant is a native of South Africa and is cold hardy. It looks ornamental with its angular leaves. This plant offers ground cover with yellow flowers that feature red pin striped petals and look contrasting against the brown chunky leaves. 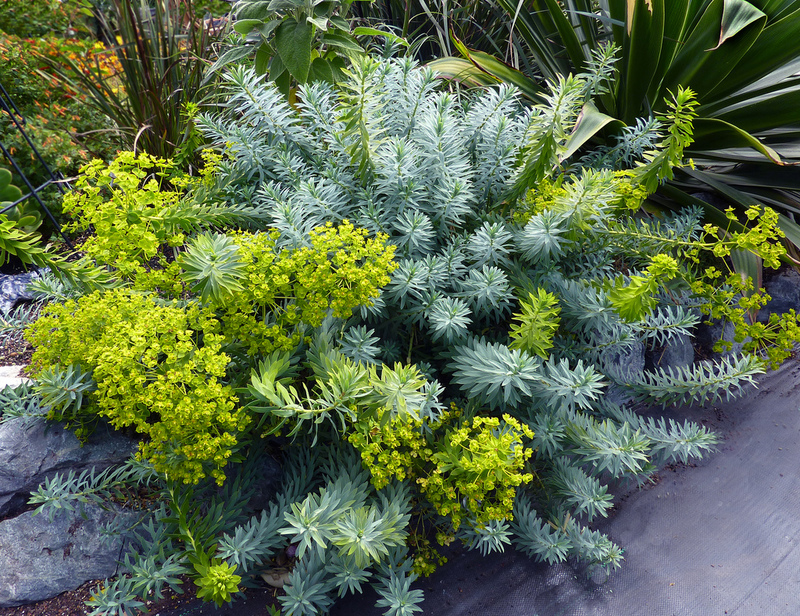 Most rock gardens have this plant as a showstopper. 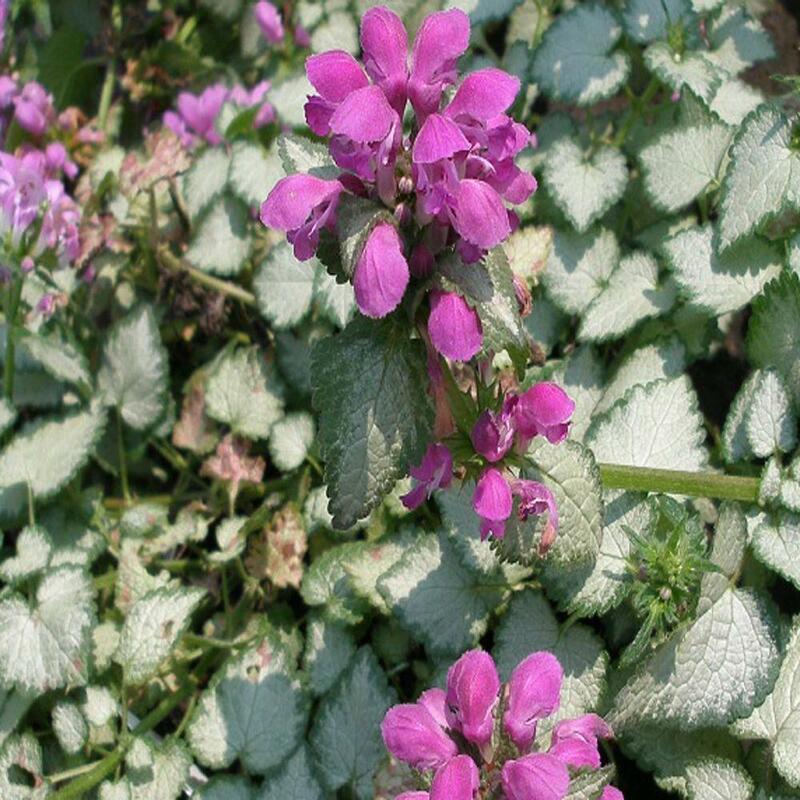 Another stunning member of the ground cover perennials family is the Spotted Dead Nettle, a prismatic plant that bears dense clusters of pink, white and purple toned blossoms. Its a low growing plant that grows vigorously in USDA Zones 3 to 10 and needs moist soil to thrive well. Since, its an invasive ground cover plant, you need to keep an eye on its growth. All the above showcased ground cover plants can become excellent additions to any well landscaped garden, and must be grown because these lend a decorative touch to your lush spaces. These are available in an assortment of textures and colors, making them an indispensable part of your garden.